Undoubtedly one of the best autumn-fruiting raspberry introductions. 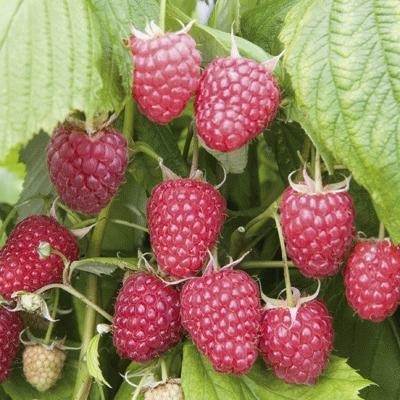 This superb Polish bred primocane variety produces up to double the yield of its parent, Raspberry ‘Autumn Bliss’, and crops at least 2 weeks earlier. Once established, each plant can produce large, deep-red berries with a deliciously sweet flavor that can be harvested from late July through to October. The vigorous, virtually spine-free plants cope well to produce a reasonable crop in gardens with less desirable soils.